Al Katz is a highly respected and successful Business Coach having coached over six hundredbusinesses and organizations since 1985. He specializes in closely held and/or family ownedbusinesses in the retailing, wholesaling, hospitality, distribution and manufacturing sectors. Additionally, Al works with professional, civic, service and educational organizations as well as non-profits. Al is well experienced in succession planning and exit strategies for family and non-family owned businesses helping to make the transition of leadership and/or ownership timely and effective. These transactions include exit strategies for the owners through the outright sale and/or merger of the business, as well as a sale to the company’s employees or business partners/family members. 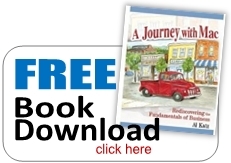 He has written A Journey with Mac: Rediscovering the Fundamentals of Business, a book describing his experiences with his clients in an entertaining and insightful manner. It has been described by one of the book reviewers as, “A brilliantly simple and simply brilliant book about how to have a better business and a better life; with a comfortable and wise friend as a guide.” He is currently working on a new manuscript that updates his previous bestseller. Al is a Dave Ramsey Financial Counselor and offers this service to both businesses and individuals. College students with credit card debt and student loans also benefit from this coaching especially as they enter today’s challenging business environment. Employment opportunities are currently more difficult for recent college graduates as well as those who have been impacted by their companies’ downsizing. 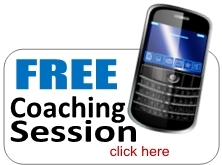 He provides employment coaching as part of his services. Using his current network and contacts in the Lowcountry, Al has been extremely successful in introducing recent graduates and seasoned managers to companies that do not typically advertise their job openings.. 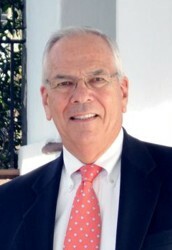 Prior to his career as a business coach, Al held senior level executive positions and filled the office of President and COO of Ellman’s Inc., a publicly held retail specialty organization headquartered in Atlanta, Georgia. This family owned business generated revenues approaching $250 million (in today’s dollars) and employed over 1,800. Throughout his five years as President and COO he led his team in achieving record sales and profits and successfully sold the company as part of the company’s strategic plan. He was the recipient of numerous industry and community awards for his accomplishments. Since 2003, Al has held the Alvah H. Chapman, Jr. Chair of Management/Ethics in the Business School at The Citadel and continues to teach in both the undergraduate and graduate programs. He is a Faculty Advisor to the Cadet Honor Committee and serves as Chairman of the Mentor Association. Katz also held the Robert A. Jolley Chair of Business Administration from 1995 to 1999. In April 2014, the cadets voted Katz the Undergraduate Professor of the Year in the School of Business. Al, a native of Greenville, SC, graduated with honors from The Citadel where he was a high ranking cadet, member of the Summerall Guards and the Honor Court. He then earned his MBA from Georgia Tech. After graduating he served with distinction as an Army officer. Katz currently sits on boards of privately held companies, as well as the boards of The College of Nursing at MUSC and the School of Business Advisory Board at The Citadel. He has previously served on the boards of The Gibbes Museum, The Charleston Concert Association, The American College of the Building Arts, Healing Farm Ministry and The Charleston Ballet Company. Al is an active member of Grace Episcopal Church. Previously, at St. Philip’s he served on the Vestry, was a Stephen Minister, a Financial Counselor trained by Dave Ramsey, active in the Men’s Ministry and was a group leader for Alpha. He currently serves as an officer of the Theta Commission of the Kappa Alpha Order. He lives in Charleston, SC with his wife, Suzanne. His son and daughter and five grandchildren live in Atlanta, Ga. Suzanne has two grown sons and they reside in Boston, MA and New York, NY.